Vienna Insurance Group (VIG) continued its stable upward trend in 3Q 2018, achieving a further improvement in key figures. Given the positive development, VIG disclosed for the year end a GWP EUR 9.5 billion target and a result before taxed expected figure of EUR 450 - 470 million. The Bulgarian holding EROHOLD said its 3Q2018 revenues from insurance activity amounted to BGN 667.3 million (EUR 342 million). Compared to the same period in 2017, the revenues from insurance activity decreased by 6.6%. VIG Re opens its second branch, in Paris, in November 2018. This marks the next step in the planned expansion of the Vienna Insurance Group's (VIG) reinsurance company in the West European market. CROATIA osiguranje is the 2018 winner of the "Zlatna Kuna" award in the insurance industry, a recognition of the relevant role played by the company in the local financial market, presented by the Croatian Chamber of Economy. 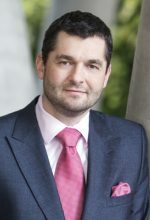 "Fifteen years after its introduction, title insurance continues to play a growing role in the CEE real estate market," Jean-Bernard WURM, Co-Founder & Managing Director of Secure Legal Title, London said talking to Property Forum about the trends in the CEE region's real estate sector. ALLIANZ announced that it has received approval from the China Banking and Insurance Regulatory Commission (CBIRC) for the preparatory establishment of an insurance holding company in China. The 5th Middle East Insurance Industry Awards (MIIA) gala dinner held in Dubai on 26 November saw Zurich Insurance winning for the second consecutive year the Reinsurance Company of the Year award. AXA announced that it will involve also AXA XL, its new division created after the XL acquisition, in the Group's sustainability and climate strategy, in an effort that might cost up to EUR 100 million in GWP, as well as EUR 660 million in divestment related to AXA's investment exclusions policy. The innovation race is on in insurance, to deliver relevant product and services for the modern customer. Join UBER, Zurich, Direct Line Group in an investigation on what products must look like, and in a practical sense, how insurers are going out to achieve this. The XVII Annual November Business Meetings (NBM) for Reinsurers took place on November 21-22, 2018 in Moscow in the Modern Business Center located in the historic building in the very center of Moscow, according to the post release of the Delovoy Format Group. According to the Chairman of the Azerbaijan Insurers Association (AIA) Mustafa ABBASBAYLI, MTPL on the Azeri insurance market is reaching its peak, Trend News Agency informed. Azerbaijani QALA Insurance plans to collect AZN 16 million in premiums by the end of 2018, which would mean a 54.1% y-o-y growth, Deputy Chairman of the company Taleh YUSIFOV said recently, quoted by Trend. Insurance market of Moldova as of the end of September went up by 2.27% y-o-y. At that, thanks to the favorable exchange rate evolution against euro, the market growth in European currency amounted to 7.36% (GWP of EUR 55.27 million). 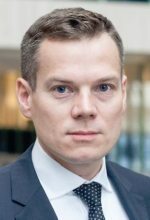 Swiss Re is ready to extend its presence in Kazakhstan, according to the agro insurance underwriter of Swiss Re for Eastern Europe, Russia, Ukraine and Kazakhstan, Marcel ANDRIESSE (Senior underwriting Agriculture). Claims paid to farmers in 1H2018 reached RUB 706 million, while only 625 thousand hectares out of the total volume of 1.2 million hectares affected by natural disasters were covered by insurance, informed Korney BIJDOV at the annual forum "Insurance business during the era of changes", on October 30, 2018 in Moscow. UNIQA Group's Ukrainian subsidiaries, UNIQA and UNIQA Life, generated GWP in the amount of UAH 2 billion (~EUR 60.37 million) in 3Q2018, which is 27.1% more y-o-y, as Forinsurer informed. Insurance reserves of Ukrainian insurers as of the end of September amounted to UAH 24.8 billion (+15% y-o-y; ~EUR 748.6 million), according to the member of the National financial services committee of Ukraine, Alexander ZALETOV. This year, the Czech insurance market has been highly influenced by new legislation. It is not easy to cope with all the changes. It is a challenge, but also a chance to improve what works and to change what does not work well so that our obligations and requirements favour the customers, make insurance products more accessible, and we can improve the understandability of every deal. Better customer protection is a priority for me, but I suppose that overregulation by the EU in any field, even though well-meant, can bring about just the opposite. It creates a stressful environment which drains resources and hinders creativity and innovation. 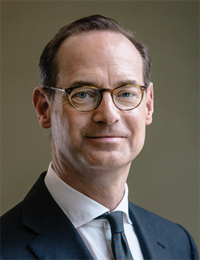 The Supervisory Board of ALLIANZ SE extended Oliver BAETE's contract as Chairman of the Board of Management until September 2024. The original contract was to expire end of September 2019. KNF- the Polish Financial Supervision Authority has announced the appointment of Jacek JASTRZEBSKI as Chairman of the market regulator, replacing Marek CHRZANOWSKI who resigned amid corruption allegations.